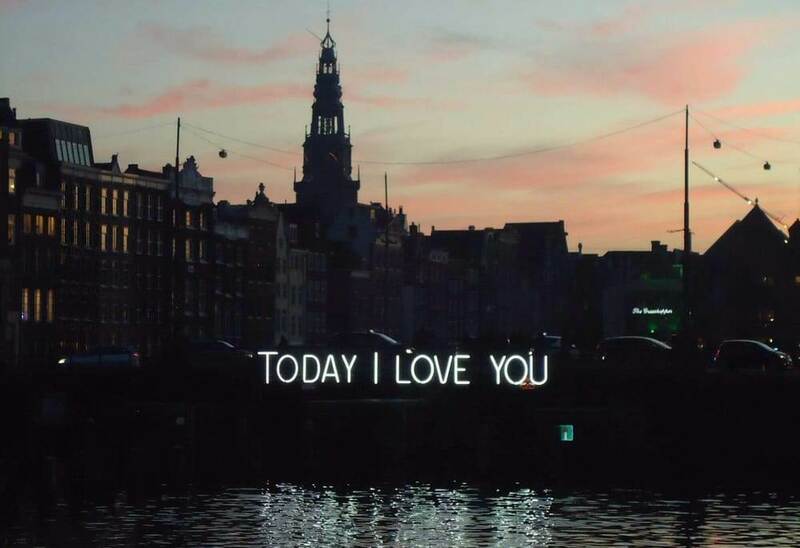 Today I Love You. A sentence excelling at splendid simplicity. A magical sentence, which seems to come from a beautiful dream you don’t yet want to wake up from. The message has been fixed in time, making it possible for the visitor to enjoy the comforting words over and over again. 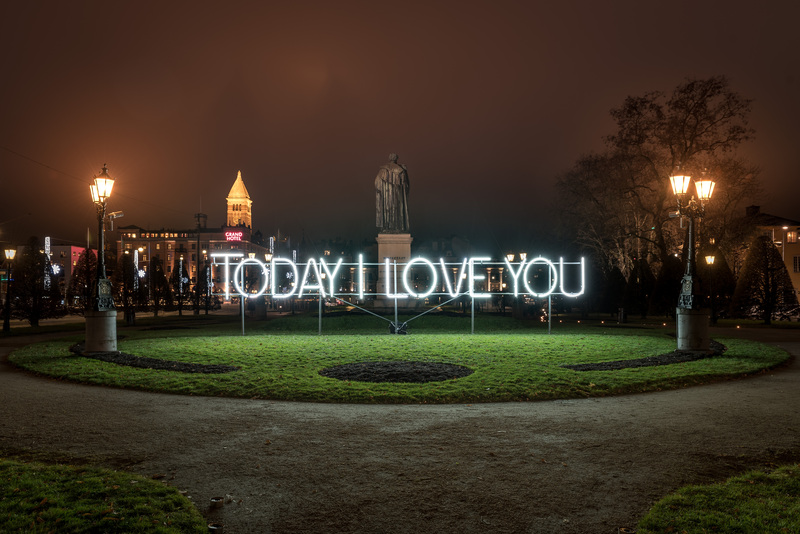 The Italian light artist Massimo Uberti is known for minimalistic and sculptural light installations. His works are simple in form, often symmetric and manufactured with neon lights. The concept of reduction is central in Uberti’s work. He abstracts his light sculptures to their very essence, hoping to increase their impact by doing so. Uberti is working with Marco Pollice, an heir of great light enthusiasts. Pollice is artistic director of the family business Pollice illuminazione, a consultancy firm in the field of light dating back to 1908. Pollice is the producer of Today I Love you.